Amazon's spring sale starts today, and we've scoured the site from top to bottom to locate the best deals. 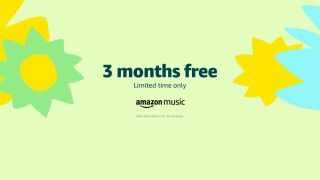 If you're a music fan the pickings are a little slim in terms of CDs and vinyl, but there's a really good deal on Amazon Music subscription if you prefer your music to stream direct from the internet. Elsewhere, it's headphones, booze, magazines, and home automation. And Bohemian Rhapsody. Because everyone loves Bohemian Rhapsody. Here are our 10 favourite Amazon Spring Sale deals. Bob Dylan on purple vinyl? For a tenner? Sign us up. Featuring rare studio recordings and unreleased radio broadcasts recorded during Dylan's first few months in New York City, a period that saw him rise from the coffee house scene and into the recording studio. This compilation includes the only known Dylan performances of Smokestack Lightning, Hard Travelin and Roll On, John and the first known outings of The Death Of Emmett Till and Standing On The Highway.